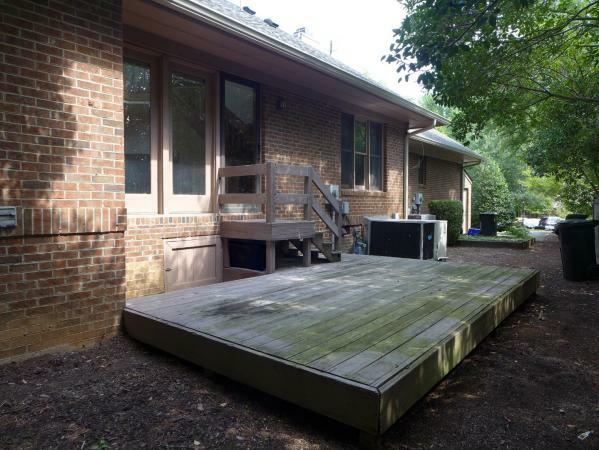 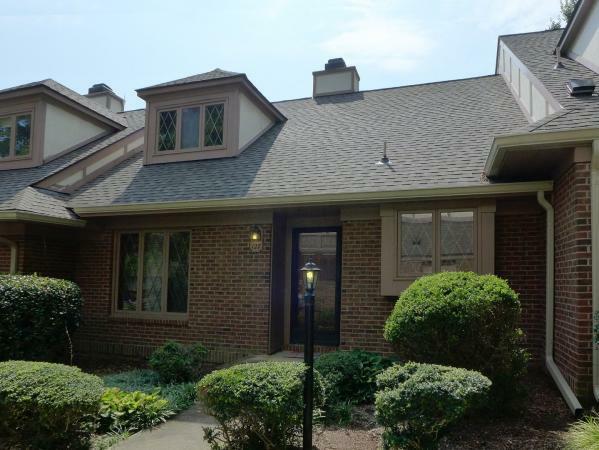 This two level townhome is in Coventry, walk to Timberlyne, Chapel Hill North, and East Chapel Hill High. 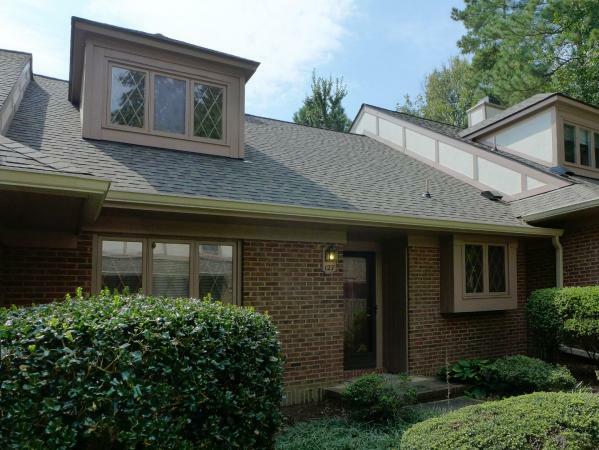 This home is convenient to a Chapel Hill Transit fare free bus line, and minutes to town and campus. 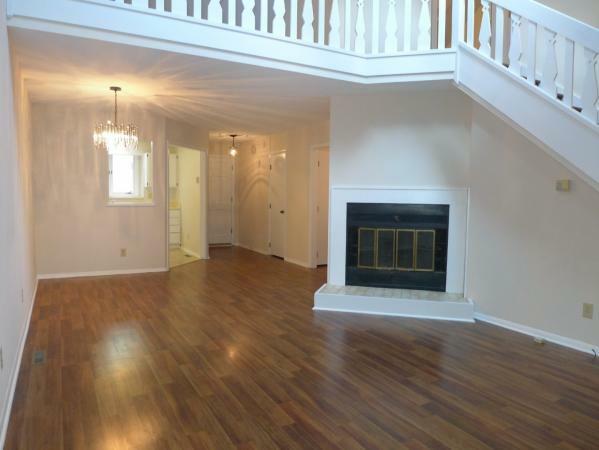 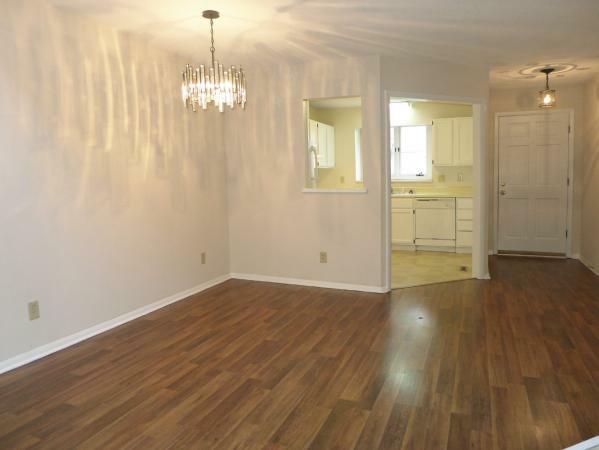 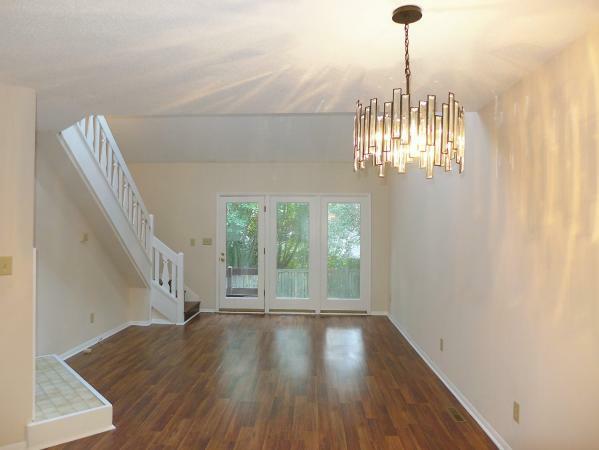 The home features hardwood style laminate flooring on both levels of the home. 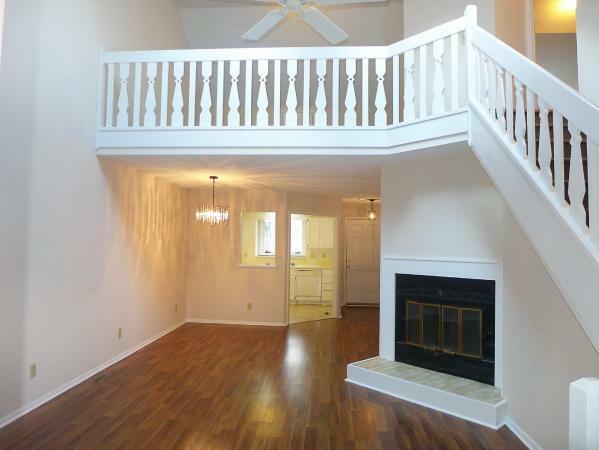 The living room combines with the dining space, and is open to the loft above. 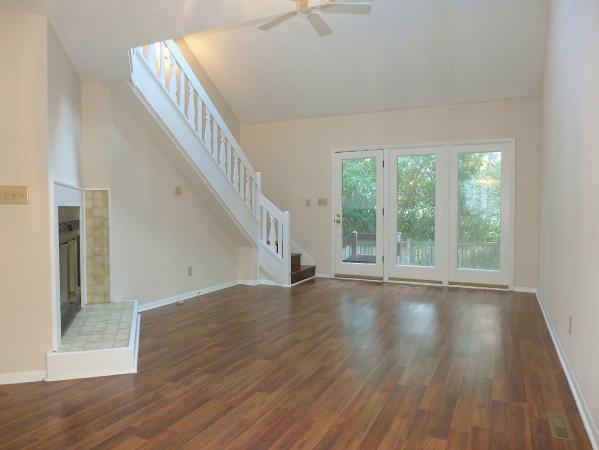 The living space features a vaulted ceiling with a ceiling fan and two skylights and a fireplace with a tile hearth. 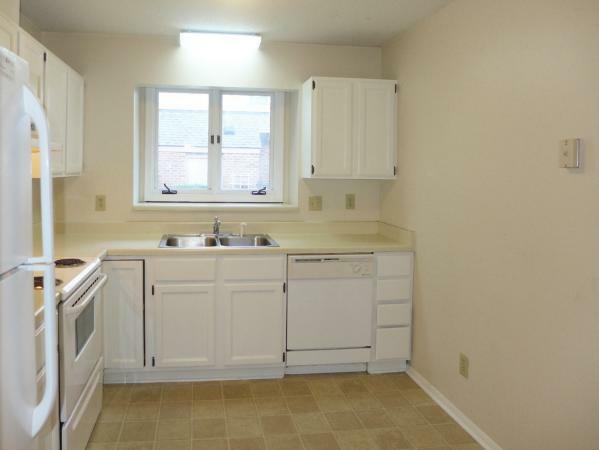 There is a convenient pass through window between the dining area and kitchen. 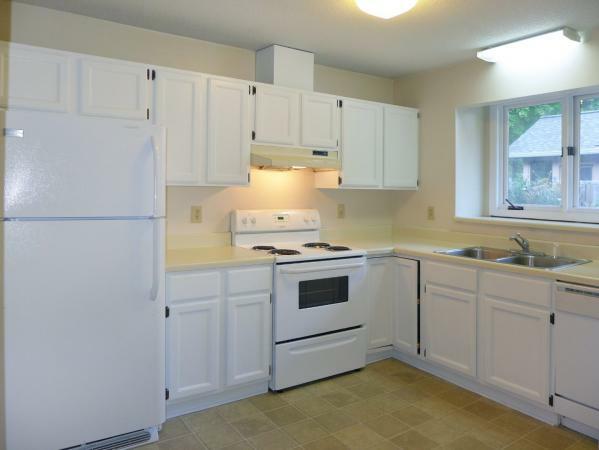 The kitchen includes a range, dishwasher, and refrigerator. 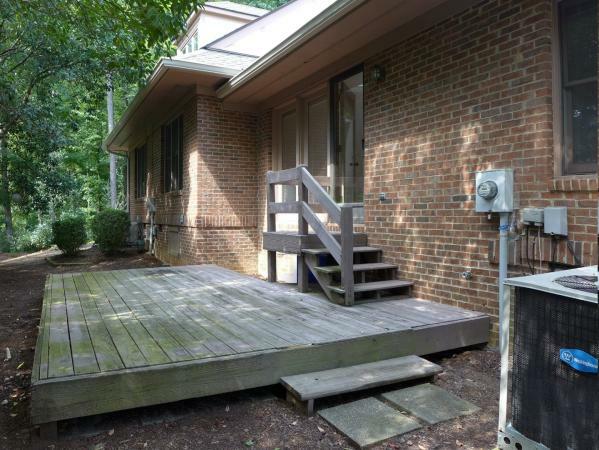 There is an exit from the living room to the deck on the back side of the home. 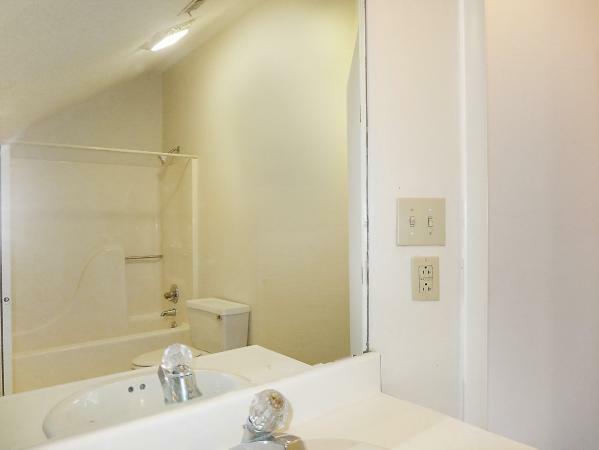 There are two bedrooms and a full bathroom on the main level. 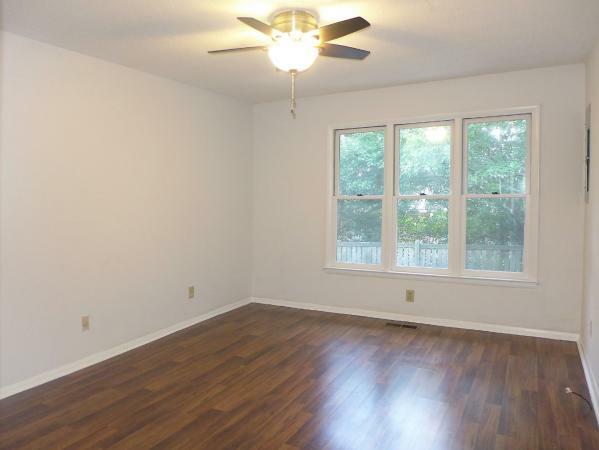 Both of these bedrooms have ceiling fans. 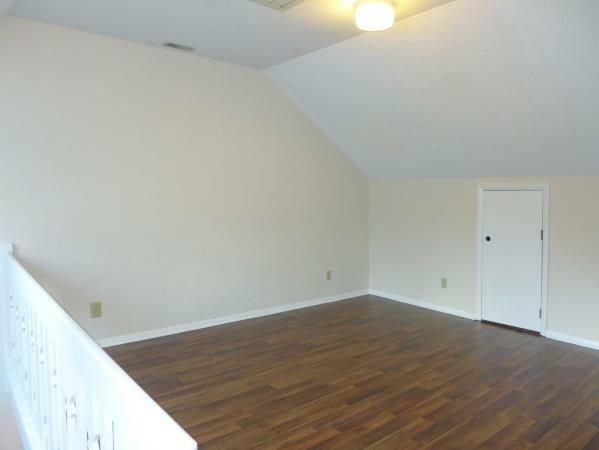 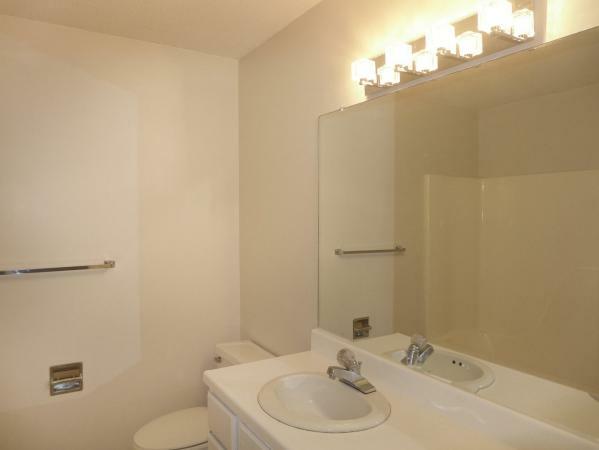 The laundry closet is on the main level with a stacked washer and dryer included. 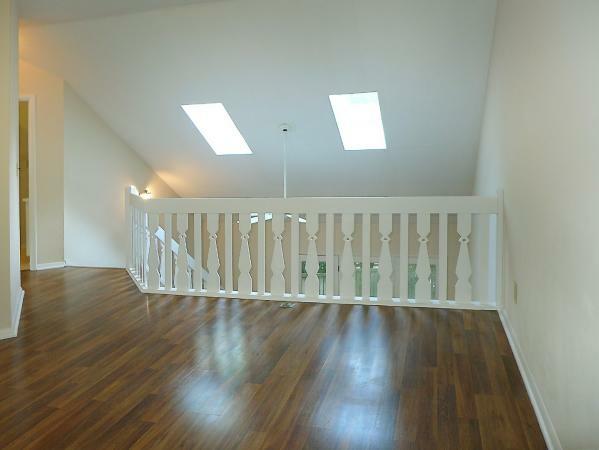 The loft on the second level offers a spacious area for an office or den. 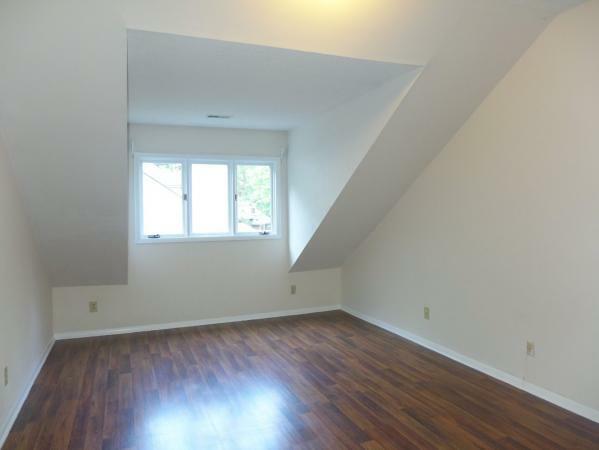 The third bedroom is on this level, convenient to the second bathroom. 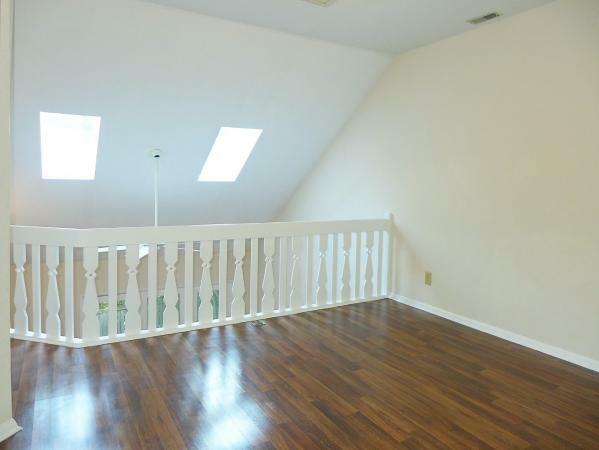 There are two attic nooks accessed on the second level for additional storage. 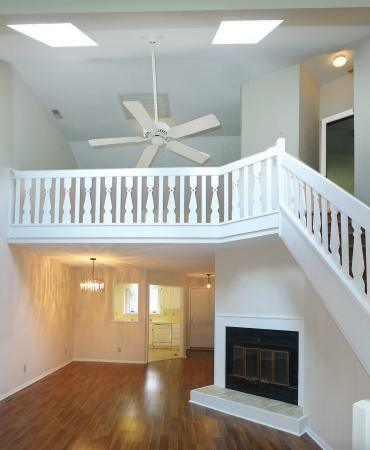 There are two parking spaces included, located just steps from your door. 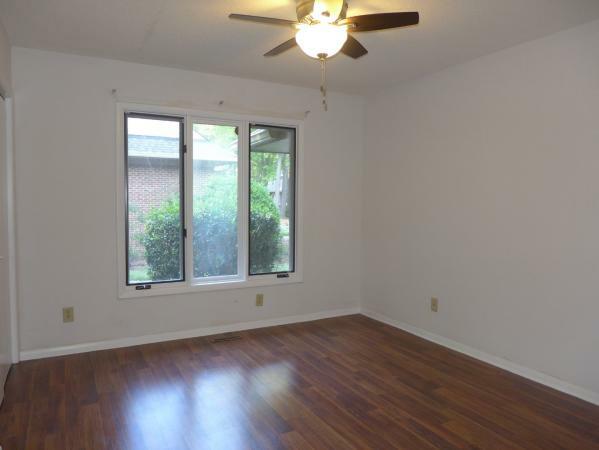 Pet with fee and prior approval.